May marked Vision Health Month. As part of our See The Possibilities campaign, we worked with physicians and patients to help build awareness regarding the importance of regular eye exams, early detection and eye health signs and symptoms Canadians should watch out for. To add depth and news value to our story, we surveyed Canadians from coast-to-coast to uncover their attitudes and habits around eye health. Through this survey, we discovered that a majority of Canadians experience symptoms of potential eye disease (59 per cent) but only half seek treatment from a health care professional (54 per cent). We leveraged this finding to craft our press release for Vision Health Month. In addition, we launched See The Possibilities’ new Instagram and Facebook accounts. 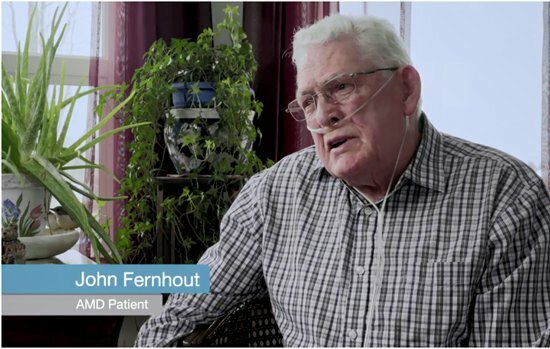 On our Facebook page, we shared COS’ latest patient video featuring Dr. Matt Tennant and AMD patient, John Fernhout. To date, the video has been viewed over 417,000 times and has been shared over 150 times. Through proactive media relations, our team secured interviews for our physicians with top-tier publications. Coverage highlights included Dr. Marcelo Nicolela’s interview with CTV Atlantic News at Five, resulting in 544,000 media impressions with over 1,130,921 more from earned coverage and press release pick up. Other coverage included additional physicians in Huffington Post, What She Said Talk, CTV Atlantic Morning Live and more. To date, the year-long program has generated 15,483,010 impressions.